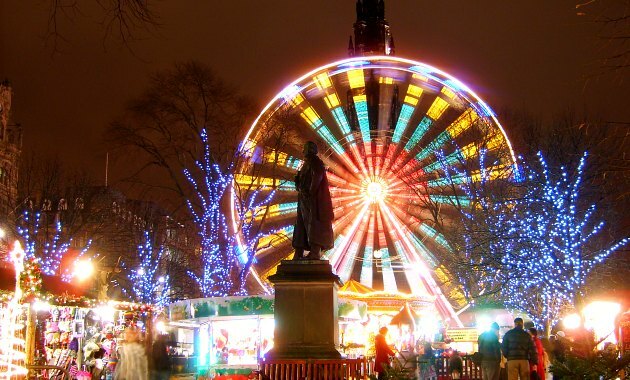 Edinburgh is a year round destination for tourists, but while most still come in the warmer summer months, the Christmas and New Year period is also now very busy. To cater for those visitors and to create a festive atmosphere, Edinburgh sets up a “Winter Wonderland” around the Princes Street Gardens. 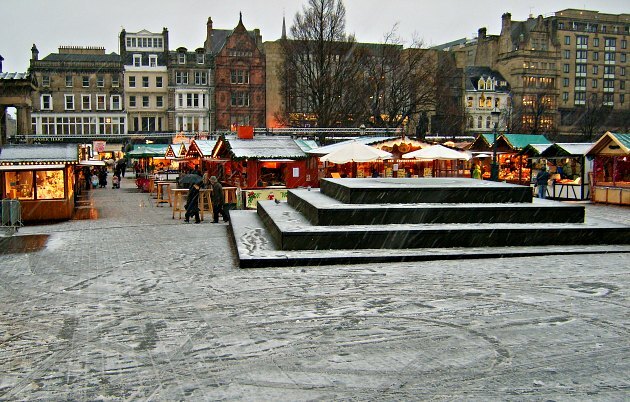 Next to the National Gallery of Scotland, you’ll find the German Market selling Glühwein, hot food, souvenirs, crafts and beer. The market is open day and night and creates a lovely atmosphere in the evening particularly. 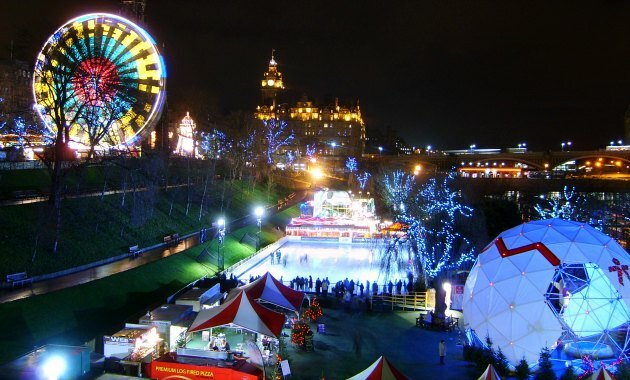 The lower part of Princes Street Gardens houses the ice rink while the street level section has the fun fair and big wheel. Again, at night, this is particularly atmospheric with the crowds and lights. 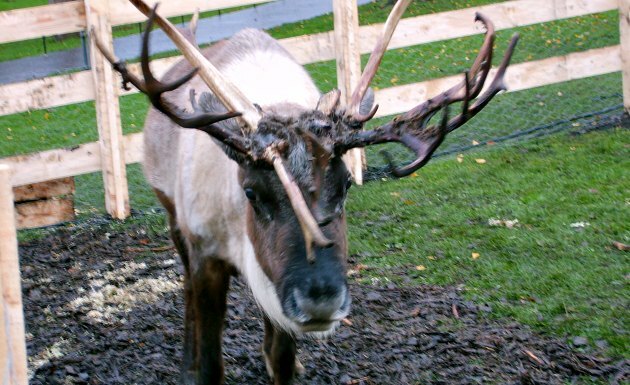 Further down Princes Street Gardens are the reindeer and activities for smaller children.